Living by a simple, child-like faith is Riley Banks-Snyde's way of showing God's love to thousands of Kenyan children. Riley Unliekly is the inspiring story of Riley Banks, who first travelled to Kenya at age 13, and has been back every year since bringing backpacks of school supplies and hygiene kits for young girls, developing relationships and friendships, and is currently, as a young millennial, raising money to build a complete learning complex in Kibwezi, Kenya for those who have nothing. At age sixteen Riley learned that, because of a rare medical condition, she will never be able to have her own children. Devastating news to most young women, especially those who love children and have always dreamed of having their own family. But Riley's response was: Kenya has given me a thousand children. Riley's stories of her trips to Kenya, her struggles to figure out how to best serve and care for these people she has fallen in love with, and her own unexpected health issues are funny, compelling and gripping. Readers will find that God writes surprising stories in the lives of those who follow Him. Hard to put down, Riley's Faith will inspire you to pursue your dreams and make a difference in your own world - and around the world. Riley Unlikely by Riley Banks-Snyder was published by Zondervan in October 2016 and is our 16405th best seller. The ISBN for Riley Unlikely is 9780310347897. 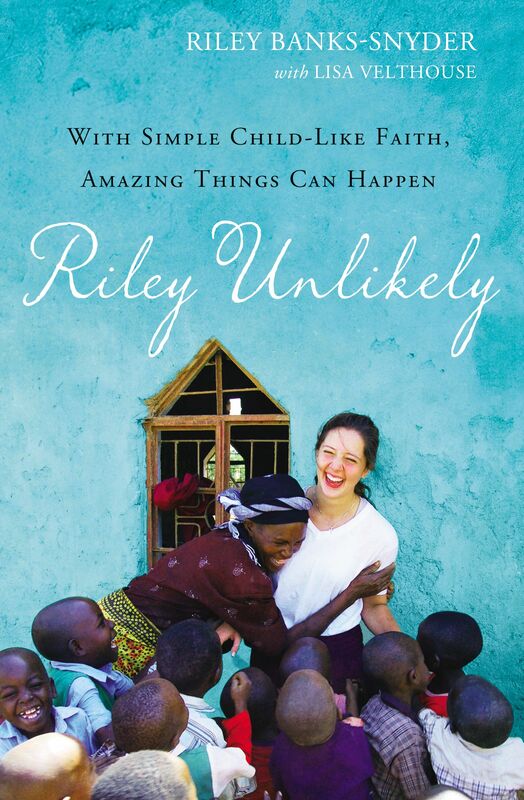 Be the first to review Riley Unlikely! Got a question? No problem! Just click here to ask us about Riley Unlikely. "This is a heartwarming tale of empathy, selflessness, and perseverance."